Goldfish Swim School to open in Late Spring 2018! Home Education	Calling All Swimmers! Meet Goldfish Swim School and win a month of FREE classes! Calling All Swimmers! 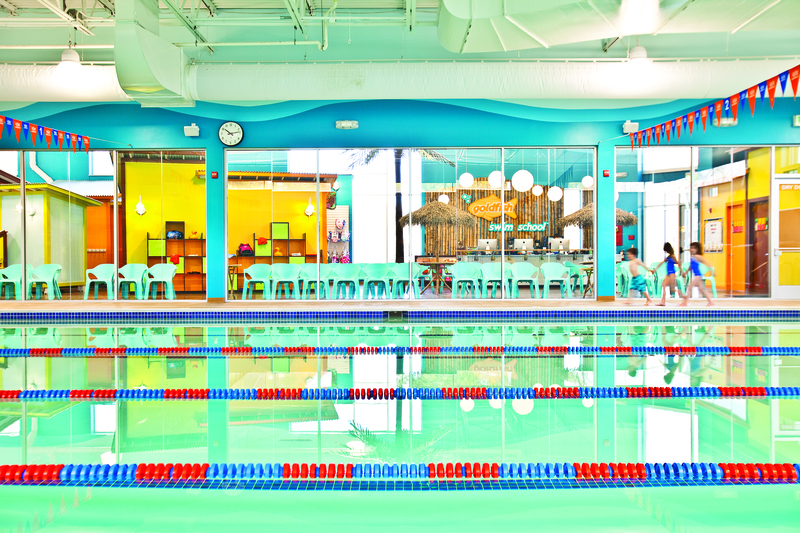 Meet Goldfish Swim School and win a month of FREE classes! Smarty Alert! Goldfish Swim School is opening in South Charlotte in late spring 2018! Goldfish Swim School is the country’s leading water safety and swim lesson school offering infant and child swim lessons. 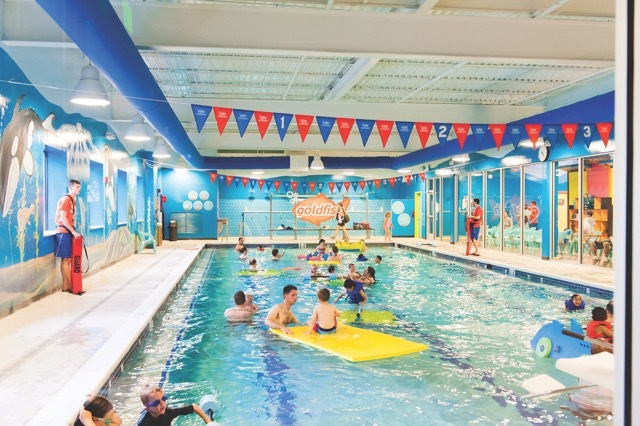 The newest addition to the Goldfish Swim School family in Charlotte joins dozens of other successful Goldfish locations throughout the United States. And guess what, Smarties?! 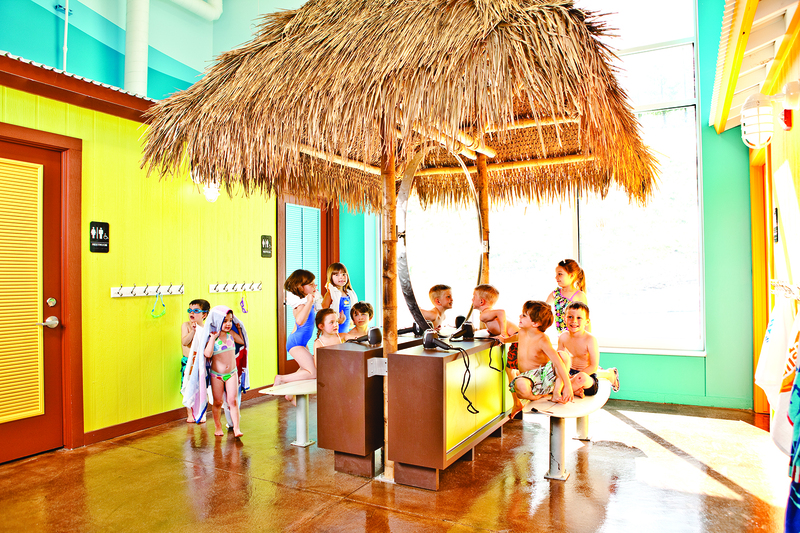 One lucky Smarty family will get to check out Goldfish Swim School for an entire month! Read on! – Convenience — families with kids of different ages and skill levels can conveniently have all of their swimmers in the pool during the same half hour time slot. 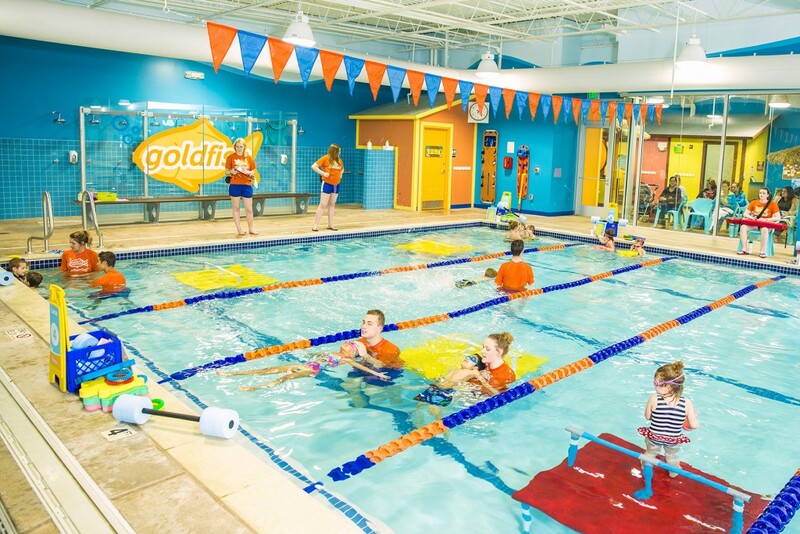 In addition to swim lessons, Goldfish Swim School Charlotte offers several weekly family swims (for both members and non-members). Family swims are an opportunity for families to work on the skills kids learned in lessons and just have fun together in the pool! 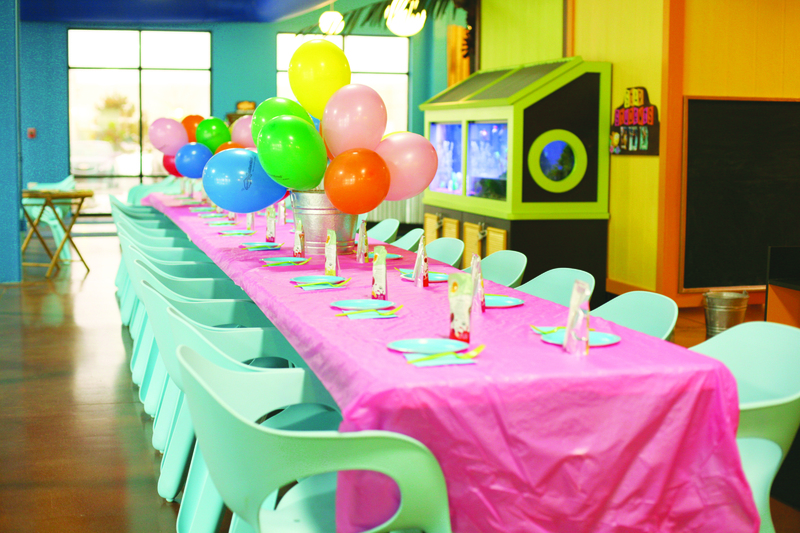 Goldfish also offers birthday party packages. 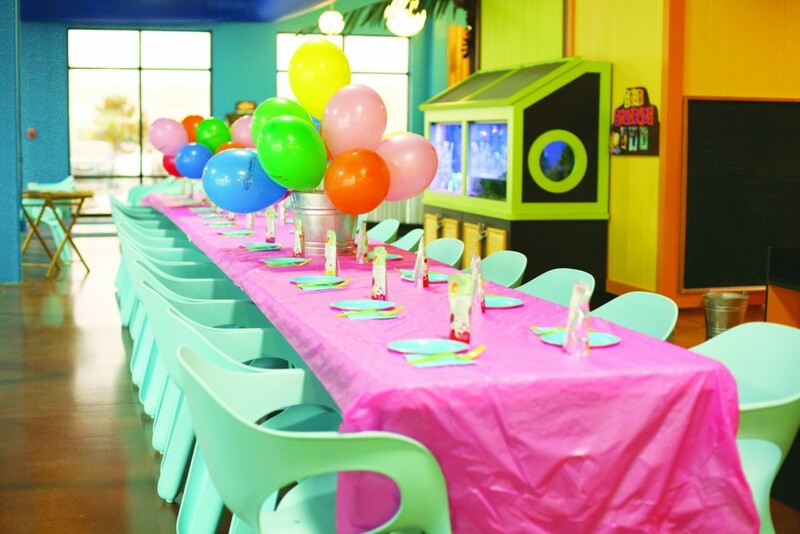 Parties include exclusive use of the facility for two hours and the Goldfish team handles of the details including setup and clean up. Goldfish Swim School Charlotte opens in late spring 2018. Families can pre-register for preferred lesson dates and times NOW by visiting the website or calling 704/625-6251. Goldfish Swim School offers FREE Water Safety Presentations to any school, camp, daycare or community organization. Our presentations include a 20-minute interactive session, an appearance by our mascot Bubbles and a goody bag for each attendee. Reach out to schedule a presentation for your organization this spring. 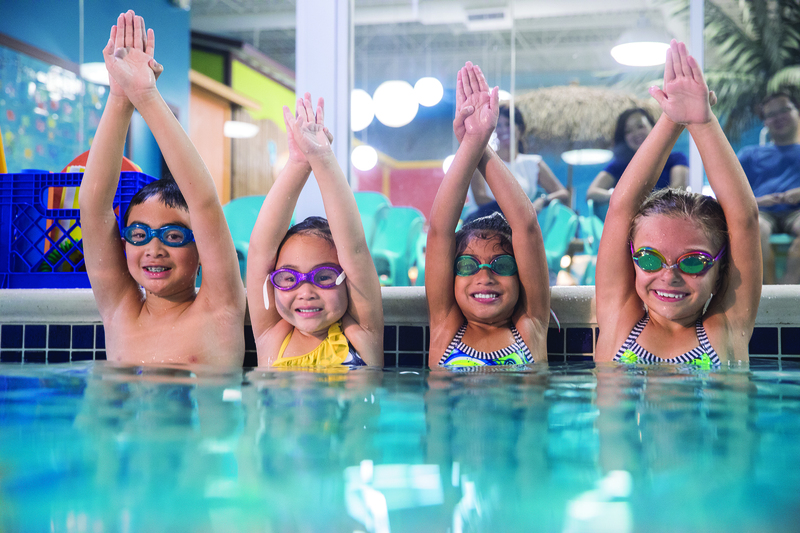 As construction of the facility continues, Goldfish Swim School Charlotte is also actively seeking to fill positions for certified swim instructors, deck supervisors, lifeguards and customer service roles. Connect with Goldfish Swim School Charlotte on Facebook for the latest updates. Win a month of FREE classes at Goldfish Swim School Charlotte! 2. 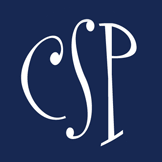 Follow CSP on facebook and instagram. 3. Follow Golfish Swim School on facebook. 4. In comments below, tell us which type of Goldfish Swim School class you’d like to try. Winner will be announced Thursday, 3/8. Good luck, Smarties! We’d like to try a class for our 4 year old as well as our 5 month old! A little farther out than we’d like to travel but worth giving it a shot. Also looks very fun for a birthday party- especially for our son whose birthday is in March which is a great time for friends to have an inside pool party! I am interested in swimming for my 7 year old and 3 year old in south Charlotte. I would love to try the once a week with my sweet girl! So excited for the grand opening!! I have 3 kids that NEED to become stronger swimmers because my husband and I are outnumbered in the pool! I’d like to try Glider 1 for one of my boys. His twin brother can swim as can his older brother and I’m very afraid for the summer ahead to go to the pool with the three of them. I’ve been looking for a way to get my nervous guy comfortable with water safety so would love to try this new school out! My Twin Girls are 4 yrs old. They have some basic swim skills but would love to expose them to swim at least 2 days a week. Swimming is such wonderful exercise and a life saving skill to learn! we just adopted two little girls in Ukraine and they have had a traumatic start, plus no water safety / exposure at all. Their first bath at ages 6 and 7 was amazing! little “babies” filled with glee. But they have no safety/danger aware\ness. Yet we are out of funds! We would love the Glider 1 for our “Nervous Nelly” 5 year old, but our “Water Bug” 2 year old would jump right in for Mini 3 class! What a cute facility! I would love to put my son in the Glider 1 class. He loves the water, but needs to learn better basics in the pool so he can swim independently! Would love a glider or junior! We would love to win the mini2 class! Yes,yes,yes! We are in a swimming desert here! I have a four year old and a nearly three year and I’d register them for the first level classes for their age groups. My boys literally jumped for joy when I told them about swimming lessons that we “do not have to drive on the highways” to get to. We’re excited to try swim lessons for our 22 month old son and new baby when he or she reaches minimum age to start. I’d also love to have my son’s second birthday party here if they’re open in time (May 2018.) water safety for little is so important and I’m thankful Goldfish is coming to the Charlotte community! Oh! Our class of choice would be the Mini 2!